In 1939, the United States government funded and introduced the Civilian Pilot Training Act, or the CPTA. Other European nations, particularly Nazi Germany, had begun similar programs, claiming they were civilian in nature when their motives were actually militaristic. This was obviously seen as a threat to the United States, so the CPTA was put into effect. The CPTP's purpose was to train approximately 20, 000 pilots each year in order to prepare for the believed impending global conflict. As the possibility of war became more of a reality, the United States became increasingly desperate for pilots. In an effort to recruit as many potential pilots as possible, the program accepted African Americans and women. This decision was a major step in the direction of desegregation and civil rights. 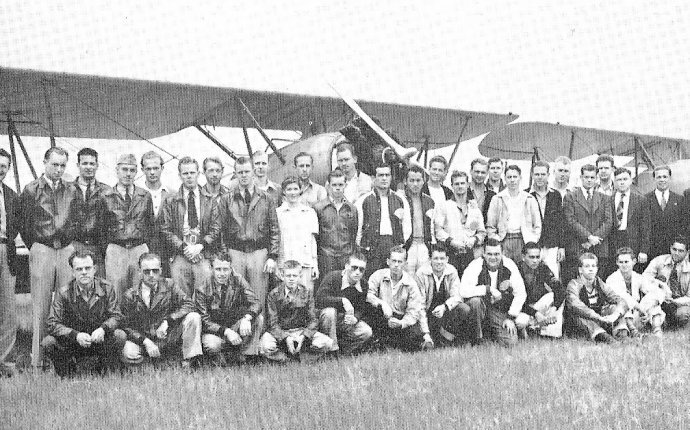 By 1944, the CPTP had trained 435, 165 pilots at thousands of different universities and flight schools. One such university was the Tuskegee Institute in Tuskegee, Alabama. The institute only trained African Americans, but the training program was rigorous. The Tuskegee Institute would eventually train and graduate approximately 2, 000 students. Although the Tuskegee Institute is not the the only school that provided candidates for the program, it was certainly one of the most famed. While the government sponsored both ground and flight instruction for the Civilian Pilot Training Program, the colleges would provide the instructors to teach the men how to fly, give physical exams, and transport the candidates to allowed flying locations. One of the most well-known flying fields, known as Moton Field, was a popular place for some of the future Tuskegee Airmen to train. Though only a primary flight location, this field gave necessary training for the candidates to continue on to the Tuskegee Army Air Field to finish their flight training with the Army Air Corps and become official pilots. Overseen by the Army Air Corps, the candidates transferred from the Tuskegee Institute to Moton Field were given necessary tools, such as textbooks, flying clothes, and other various flying items. Although this field was built with funding from the Julius Rosenwald fund, the Tuskegee Institute owned, controlled, and maintained the military flight facilities, known as Moton Field, thus being one of the only American institutions to do so. Moton Field was a vital aspect in preparing the Tuskegee Airmen for more rigorous flight programs and training them in the basics of flying. It is even sometimes known as, "The Birthplace of the Tuskegee Airmen."